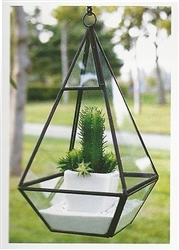 Glass raised pyramid hanging terrarium. These are nice quality, and look great! Black frame, 9.5" tall, 5" wide. 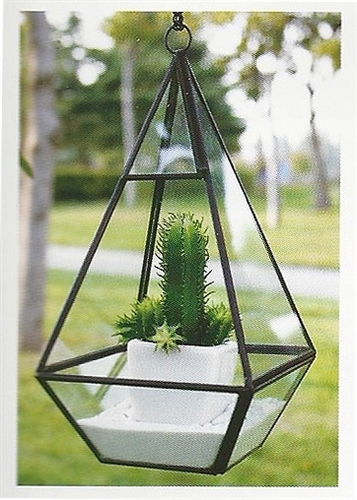 There is a ring at the top of the terrarium (for hanging). Chain not included.